Faith is NOT JUST a matter of BELIEVING RIGHTLY, BUT ALSO a matter of LIVING RIGHTLY! Many people find a life of faith rather dry and boring. They go to church, read their Bible, participate in small groups, volunteer to participate in organized community activities, and even donate to various charities. But all this this is simply perfunctory, merely going through the motions, confusing activity with accomplishment. Thus unsatisfying, boring, and dull. I believe that many do this as a result of learning what Jesus said about The Final Judgment. So they do these things in an effort to assuage their guilty feelings; hoping their 'good works' will allow them entrance into God's kingdom. In all truth, they'd rather be doing something else, something that makes them feel good. But they also know that those who live to please themselves, instead of God, will not enter the kingdom of heaven. 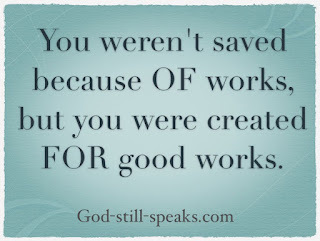 In all truth, it is most likely that those who live that way, probably have a 'works' perspective, and lack a clear understanding of God's magnificent 'grace'. Q) "How can you say such things, Karl? Who are you to judge others on their personal quest of faith?" A) I'm not judging, Rather I am speaking both from personal experience (I've been just as guilty of those practices) as well as from talking with and observing others on this journey of striving to live a life of faith in Christ. It is so easy to get caught up in 'doing things'. We spend so much time and energy trying to prove to ourselves and others that "I've got this Christian lifestyle down!" It is much more difficult to genuinely and sincerely [with ALL of our heart] abide in Christ. 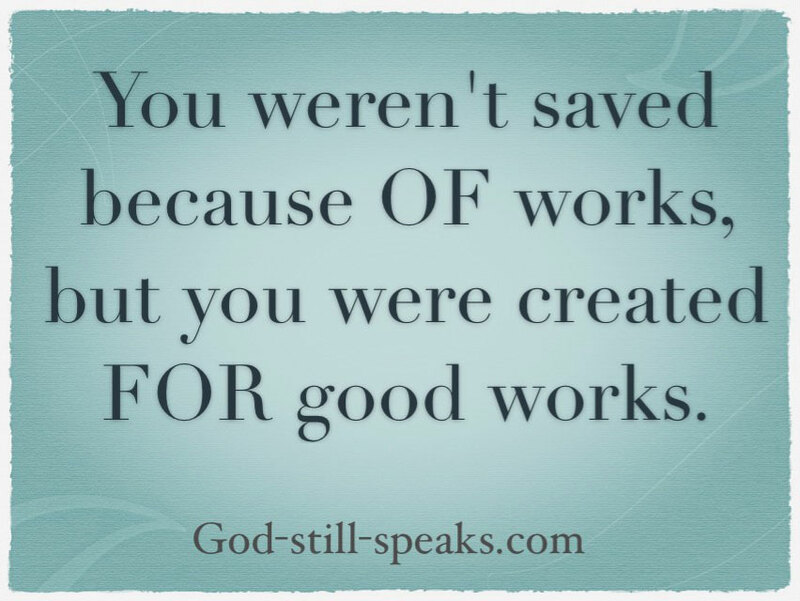 We need to understand that it isn't by doing good works that we are saved. Rather, we are saved to do good works; from the heart, in the service of others, to glory of God; just as Christ taught and exemplified. [c] James 1:24 For the believer, seeing the man “in the mirror” is seeing how God sees us from the beginning, even before the fall of Adam which resulted in sin’s devastation to human hearts. The man in the mirror is the new creation man. [e] James 1:25 This is referred to as the “royal law of love” in 2:8 and the “law of liberty” in 2:12. 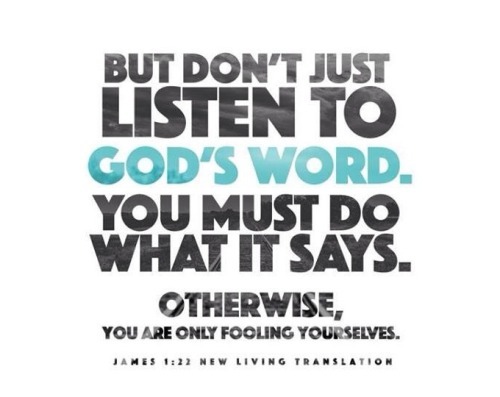 [f] James 1:25 See Luke 11:28. The Passion Translation (TPT)The Passion Translation®. Copyright © 2017 by BroadStreet Publishing® Group, LLC.